In a white paper released Monday, the Obama administration is calling on cities and counties to rethink their zoning laws, saying that antiquated rules on construction, housing and land use are contributing to high rents and income inequality, and dragging down the U.S. economy as a whole. The White House published a “toolkit” of economic evidence and policy fixes to help local political leaders fight back against the NIMBYs that tend to hold sway over municipal zoning meetings. Cities across the country are interested in revising their often 1950s-era zoning codes and housing permitting processes, and increasingly recognize that updating local land use policies could lead to more new housing construction, better leveraging of limited financial resources, and increased connectivity between housing to transportation, jobs and amenities. 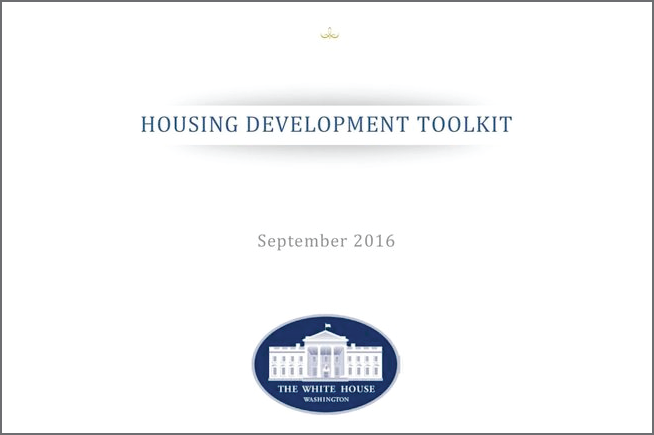 The President’s FY 2017 HUD budget includes a $300 million proposal for Local Housing Policy Grants to help facilitate those cities’ success in modernizing their housing regulatory approaches.